I received a question last week from a reader who wanted to know her legal rights after someone hit her car in a parking lot while she was in the store. Let me rephrase that. Our attorneys receive lots of phone calls this time of year, as these car accidents and fender-benders are especially frequent during the holiday season. I even wrote a post last year specific to the law in Troy, Michigan, where so many people shop at Somerset Mall. Way too many people who cause these fender benders drive off without leaving a note or making a police report. It’s not a pleasant surprise for someone who walks out to their car to find someone bumped into it. Adding insult to (vehicle) injury, people usually don’t know where to turn when it comes to recouping the costs for vehicle damage when someone hits their car in a parking lot. Q. My car was parked in a chain supermarket’s parking lot. Returning to the parked car, I noticed someone backed into the car and didn’t leave contact information. Is the store and/or the parking lot owner liable for damage to the car? A. No, the store is not responsible for your vehicle damage. 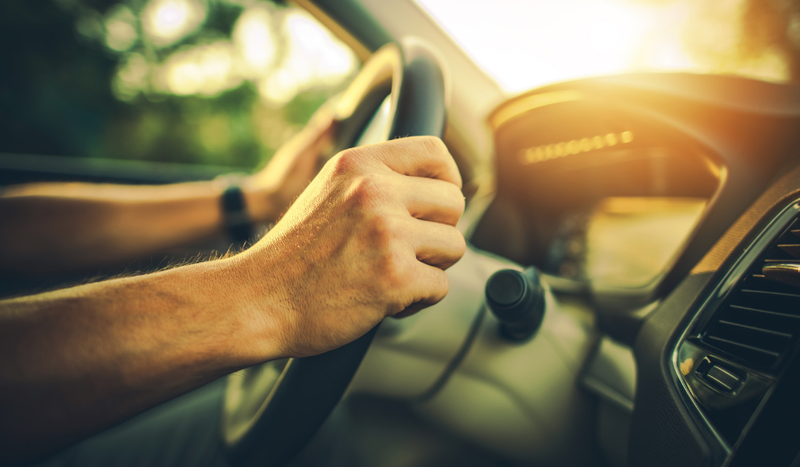 If you have collision coverage, you should have your own insurer pay for the damage if you’re unable to identify the owner of the at-fault vehicle (although I always recommend paying for minor vehicle damage out of pocket and not making an insurance claim). You can also check to see if the store has parking lot surveillance footage to see if they can identify the at-fault vehicle. Many shopping centers and malls now have cameras that cover these areas. “Collision coverage insurance” pays to repair a person’s car or truck if it was damaged in a Michigan auto accident. Without collision coverage, a vehicle owner has nearly no other way of paying for the vehicle damage repair costs. If a fender bender in a parking lot occurs in Michigan, be aware that Michigan has a special mini tort law that most states do not. The mini tort allows you to recoup up to $1,000 for vehicle damage. But unfortunately, the mini tort doesn’t apply to a parked, unoccupied car. If you’re in a crash in a parking lot and the other driver is present, it’s always a good idea to exchange information with the other driver. As an accident attorney, I can tell you that it is very common for minor, nagging or “sore” necks and backs to progressively worsen over time. Often these are whiplash or soft tissue injuries, but they can also be the beginnings of a tear in the annulus and actually be herniated spinal disks in the neck or back that can eventually require surgery. So, get the other driver’s information, and don’t make the mistake of just assuming you will be better in a few days or a few weeks. Then you would file a PPI claim with the at fault driver’s insurance company. Also, police must be notified when a car accident results in personal injury or death and/or vehicle damage totaling $1,000 or more, according to MCL 257.622 of the Michigan Motor Vehicle Code. In these instances, it’s important to file a police report so your accident is on record when it comes to recouping your vehicle damage costs or a making No Fault insurance claim. I got into a car accident in the parking lot of Somerset, now what?